Tripura State Electricity Corporation Recruitment 2017: Dear aspirants I have shared the good news for the job hunters. So This is the great opportunity who are hunting for the govt job in Tripura State Electricity Corporation Limited. The TSECL Recruitment Notification was released clearly. We have published all the recruitment details Carefully. The candidates check the additional details on this page. No need to check you are on the right page. Who are going to fill all the details in the application form check the details before submission of application form. The interested aspirants can check the qualifications in order to apply for this recruitment. if you want to know the Job openings in the TSECL 2017 You can refer the advertisement. TSECL Notification 2017 has been discharged. To fill the 21 junior operator posts they will conduct the selection process. Applicants who would like to work with this Government authority they required the Basic qualification. The eligibility criteria to apply for the job is should possess Madhyamik with ITI in Electrical Trade of two years recognised from the govt of India. To reach the applications soon we have sent the forms through the post. Aspirants should apply for this recruitment and appear for the exam. If the Applications Are reached the postal address after the Last date. Those will consider as the Invalid forms. So We request to apply before the last date. Organisation Name Tripura State Electricity Corporation Limited. Number of Vacancies 21 posts. Last Date 20th August 2017. Candidates can check the TSECL Job vacancies 2017 on this page. Furthermore, information about the selection process can check below. The government of Tripura has officially announced the TSECL Recruitment 2017 on 21st July 2017. In order to hand over the application forms, you must apply for this notification. To get the Brief details of this notification we have posted this on the single page. who are willing to work under this department can enrolled their forms before the link expires. Candidates Age Limit must be 18 to 40 years. If you want the age relaxation you can search in the official notification. The Finalised candidates job location will be Tripura. 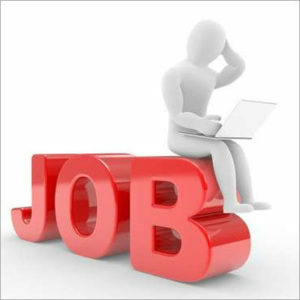 The Aspirants Of Individuals will know the Job openings on Junior Operator posts. you can get more details and updates of latest recruitment. By following or page you will get the latest updates and notifications on this page. The Upcoming govt job opportunities are also updated here. just by click on it, you will get the latest updates and notifications. for more clarification, we have attached the downloading links So from this you can download the latest notification. If there is anything missing in this article. You will get it from the formal notice. Please take the help of the previous papers for getting the cut off marks in the written examination. Education Qualification: The candidates should possess Madhyamik with ITI in Electrical Trade of two years in any Government Recognised Organization. Pay Scale: Rs. 5700 to Rs. 24000/. Open the Official website, www.tsecl.in. Initial Date to Send the Application Form: 21st July 2017. Last Date to Send the Application Form: 20th August 2017.